Many commercial boat operators in the Lowcountry rely on the local waterways for business operations. 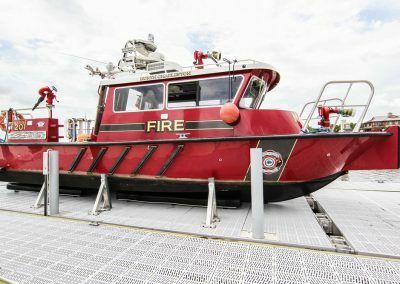 This often means maintaining assets – such as boats and docks – that are under constant assault by the harsh elements in the water. 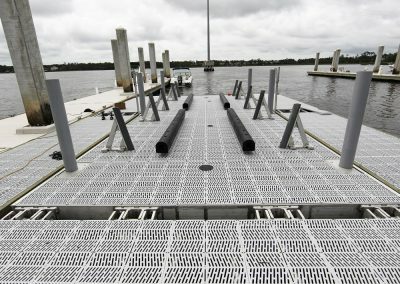 The owners and engineers at Sea Power Marine Products know their newly- patented boat lift will be a welcome solution to those owner/operators who pay the price in this ongoing battle. Maintaining a fleet of boats is expensive. The investment in the vessels and the ongoing upkeep are a major expense to a commercial entity or government outpost on the water. Investing in The Sea Power Marine Lift immediately cuts costs, due to its dry dock protection capabilities. This makes for easier cleaning and maintenance, which are constant duties in a boat owner’s life. 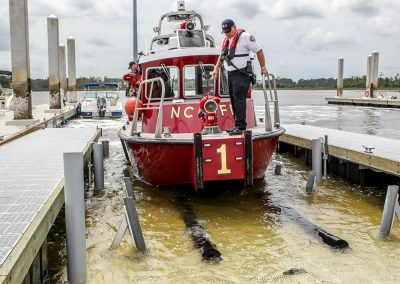 The ability to completely remove the boat from the water – especially saltwater – means separating it from the environment, resulting in an added benefit to the environment. Removing the need to paint the hull benefits the health of the local waterways and its inhabitants. Other financial savings can potentially be found in the fact the lift is built with the best products for lasting durability to withstand harsh elements. Emergency and government personnel often are called on to respond quickly. This means that every second counts. 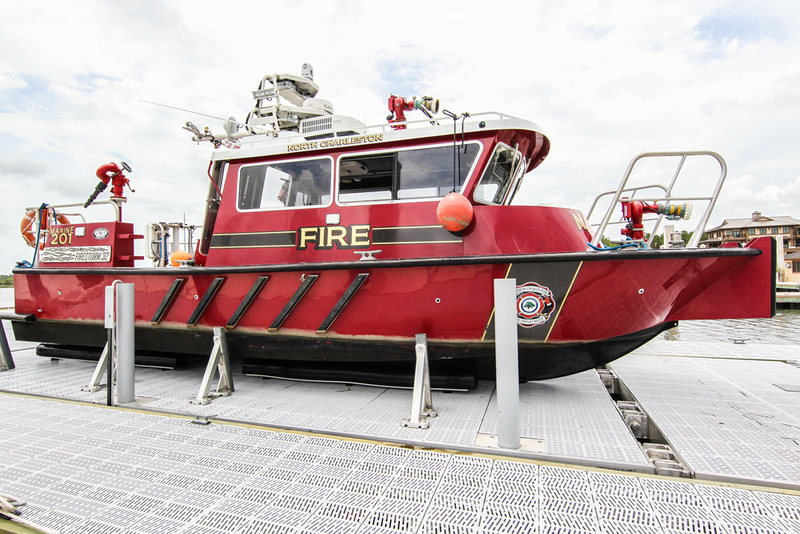 The key to the Sea Power Lift is the custom-designed, submersible deck. The design allows a boat to be lowered from the dry dock position and makes launching quick and easy. Even returning to the dock can sometimes need to be done in an urgent manner. The three-sides of the lift block the current, so the operator can maneuver quickly onto the deck. The boat can then be raised safely to the dock/catwalk level. This lift is built to make life easier on the crew and passengers. Lowering the lift from its dry dock position, the submersible deck is able to lower the boat to the correct height to load gear and for passengers to board the vessel. The three-sided catwalk adds a convenience for passengers and crew to load and board from all sides. 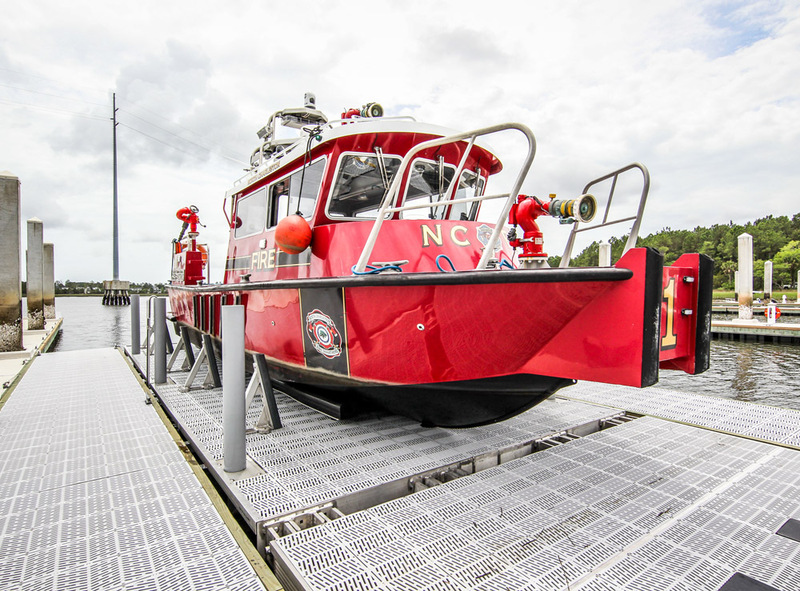 After studying the commercial boat lift market, working with engineers and securing numerous patents, the Sea Power team quickly decided to create a floating modular lift, for several good reasons. 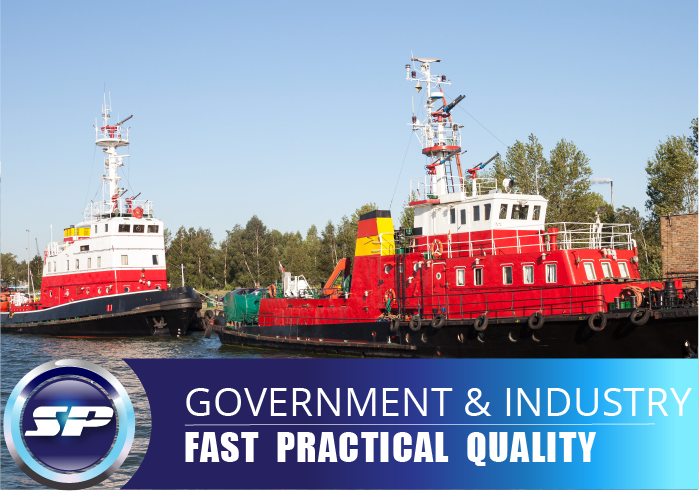 Businesses and government installations often have boats of many sizes, makes and models. This modular lift is designed to work for small, medium and large boats, with a deck customized for particular hull shapes. The lift can be custom-designed in colors to match customer preferences. “We strive to distinguish ourselves by building a better product,” is the motto behind the vision of the Sea Power Marine company leaders. 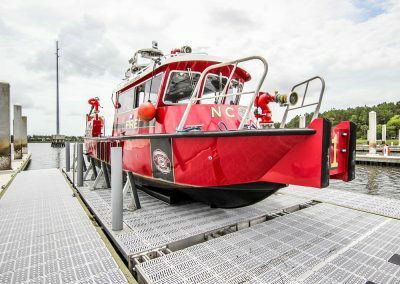 The team members, who have more than five combined decades on the waterways of the Lowcountry, saw a need for a submersible boat lift and a floating boat lift all in one unique design. They also knew the lift had to be constructed of the best materials and in a way to meet the specific needs of commercial boat owners. 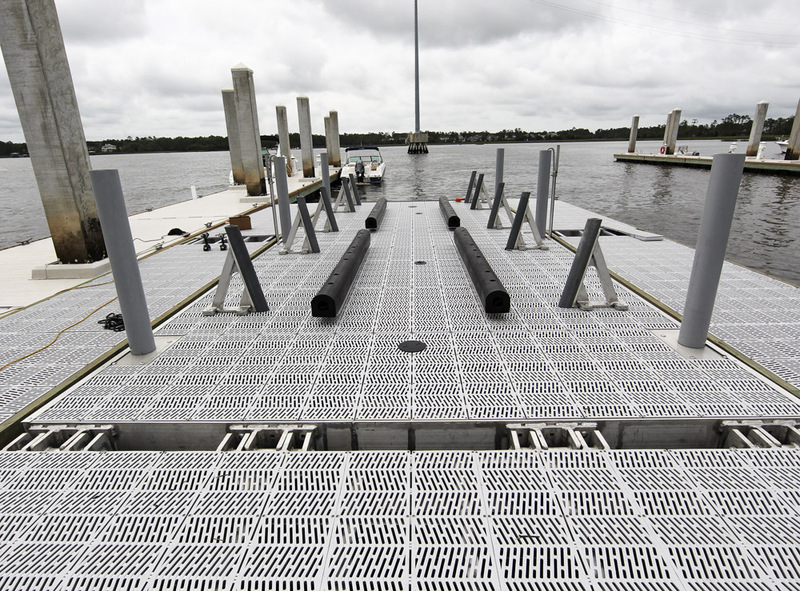 For more information on the Sea Power Marine Modular Boat Lift, contact us here.